Sreejit just posted this photo of pasta being cooked at Amma’s ashram in Amritapuri, India. Just a normal day in the Amritapuri kitchen. Dinner- 150 kilos of pasta! I knew that today I would be writing my 400th post. That’s 400 posts since I started my blog in March 2014! I’m very excited about this landmark. I never would have guessed when Sreejit encouraged me to start blogging that I would love it this much. I decided 400 was important enough to me that I would spend some time thinking about the topic for that particular post. When I was growing up, I belonged to the Brownies and then the Girl Scouts. I used to love to go on camping trips with them. 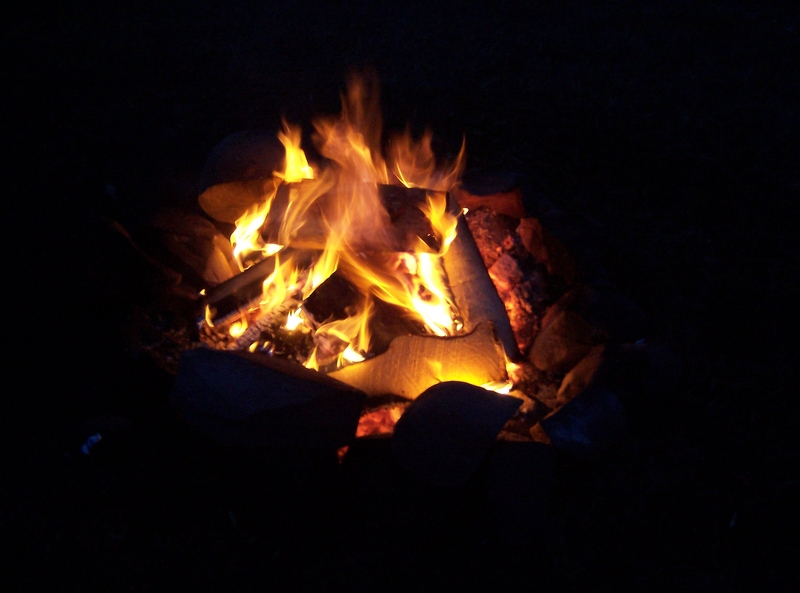 My memories are of sitting around the campfire singing and making s’mores. I belonged to other groups in my teen years. We also roasted marshmallows, and put them, along with pieces of a chocolate bar between graham crackers to make the much loved s’mores. But that wasn’t the only thing we made during these early years of my life. 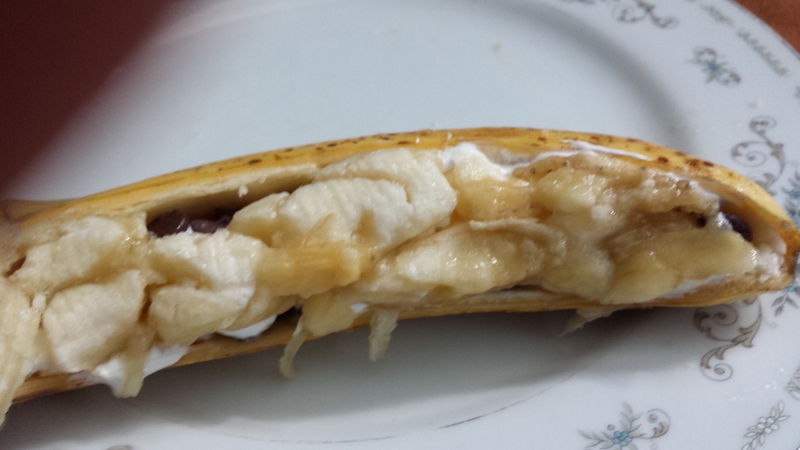 We also made banana boats! 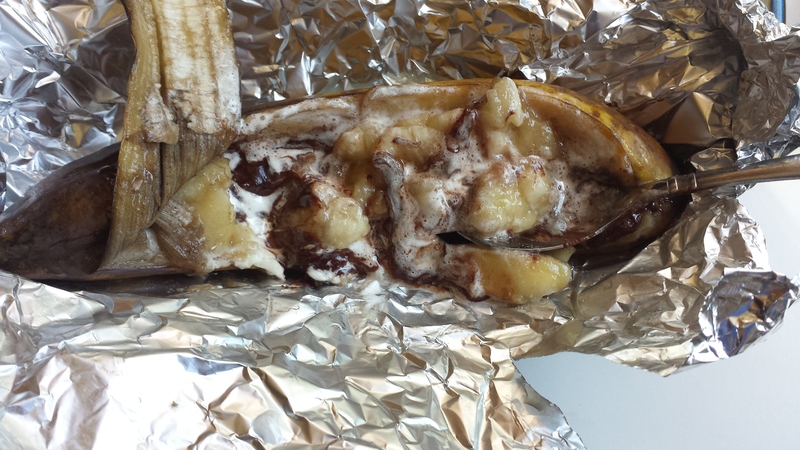 Most people nowadays know about s’mores but I don’t ever remember talking with anyone who knows about banana boats. 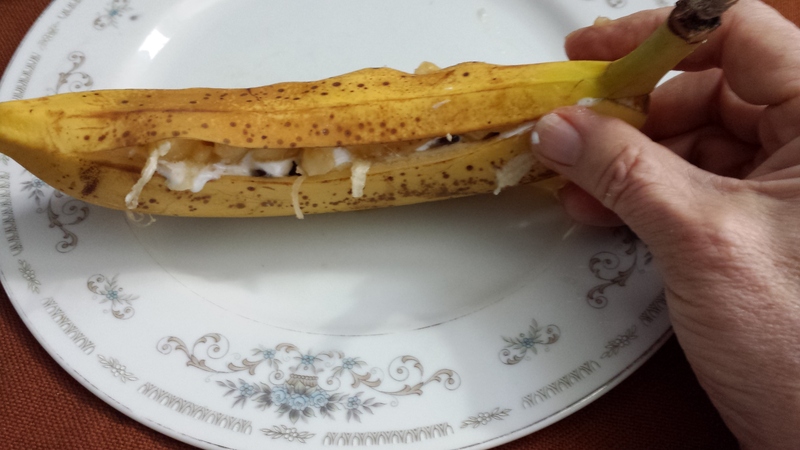 Some years back, I realized I could make them without the campfire, so today I will show those of you who are new to banana boats how to make them in your house! Hopefully even if you already know about them you will still enjoy making and eating them vicariously. 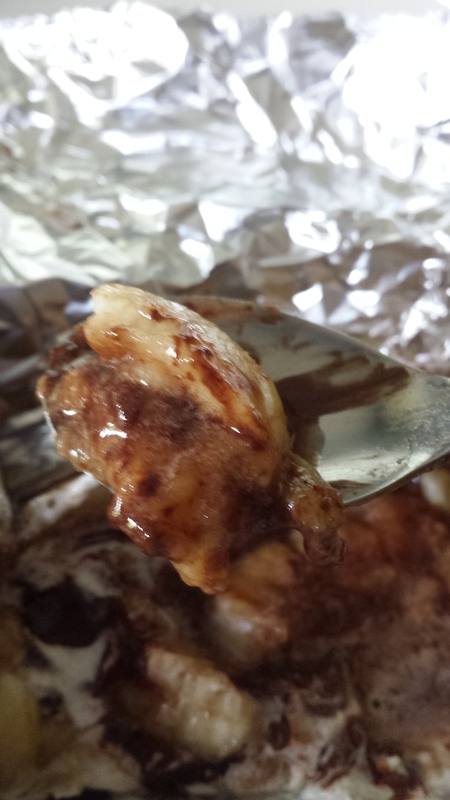 All you need is a banana, marshmallows, chocolate, some aluminum foil and a way to cook them. I have always used the tiny marshmallows but I’ve been making s’more ice cream so I used the marshmallow creme I already had at home. 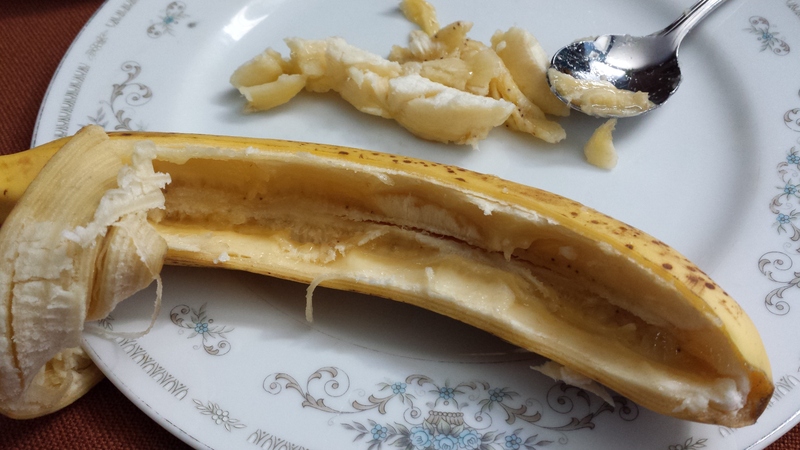 First, peel the top of the banana skin from the banana without breaking it off. 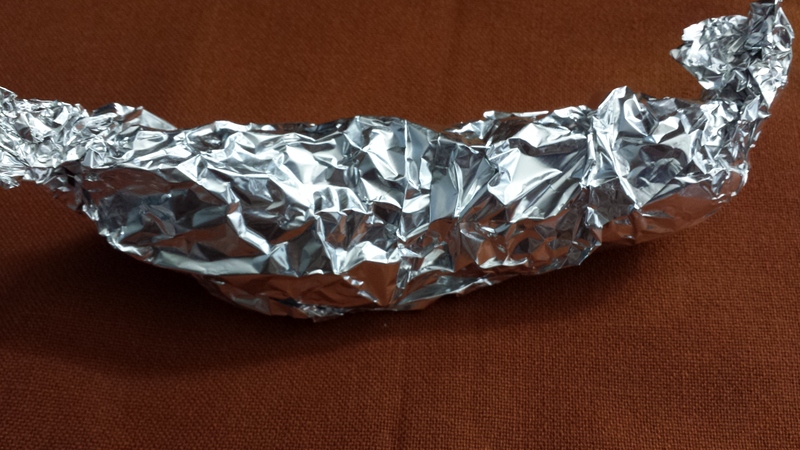 Then hollow out the banana like a canoe. 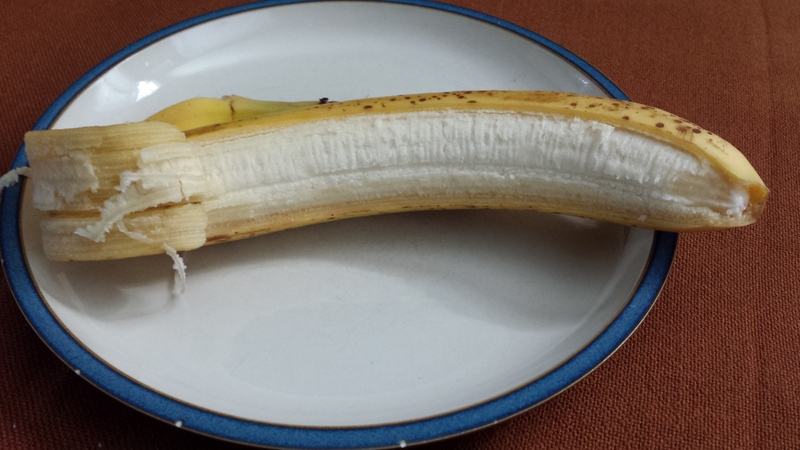 Do leave some of the banana in the boat though! and roasted marshmallows, small marshmallows or marshallow cream. 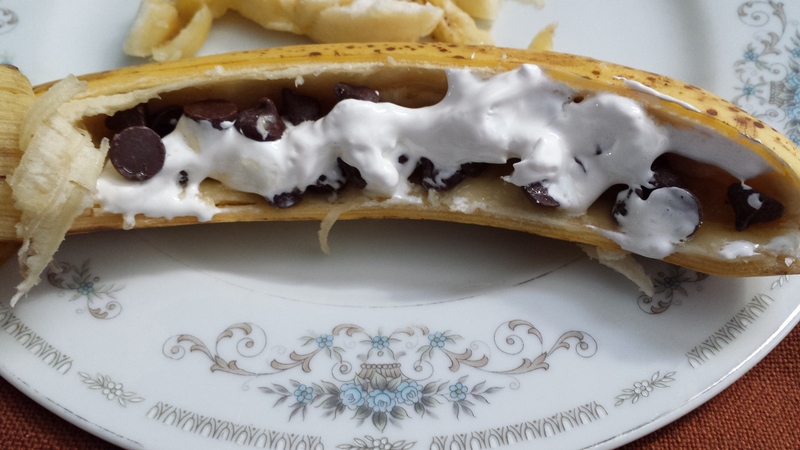 Put the banana pieces that you scooped out to make the boat on top of the chocolate and marshmallows. Cover it all with the peel. 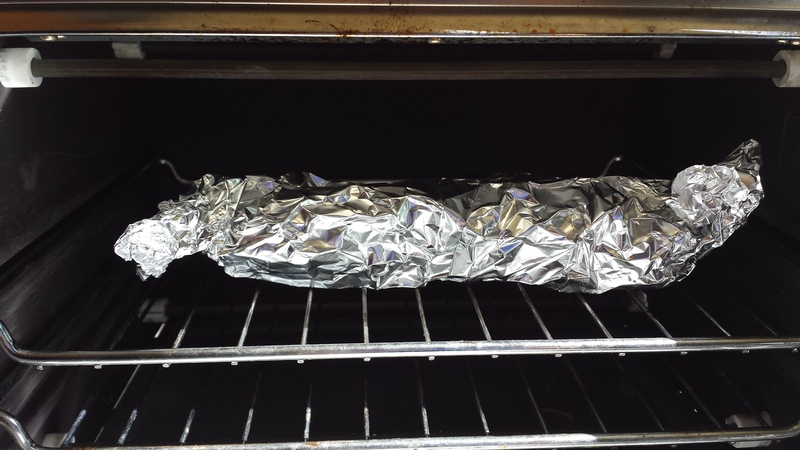 And then wrap it in aluminum foil. If I were camping I would put it in the campfire to cook. I’m at home, though, so I put it in the toaster oven! How long you bake it depends on how much you want the banana to cook. 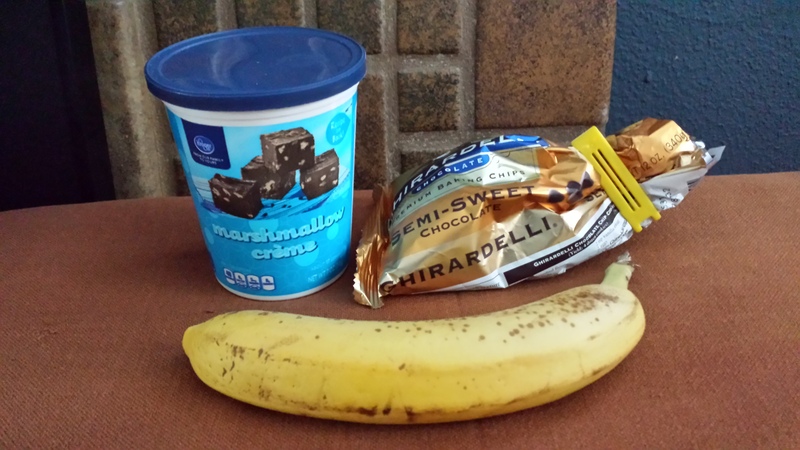 What is most important is that the marshmallow and chocolate melt. 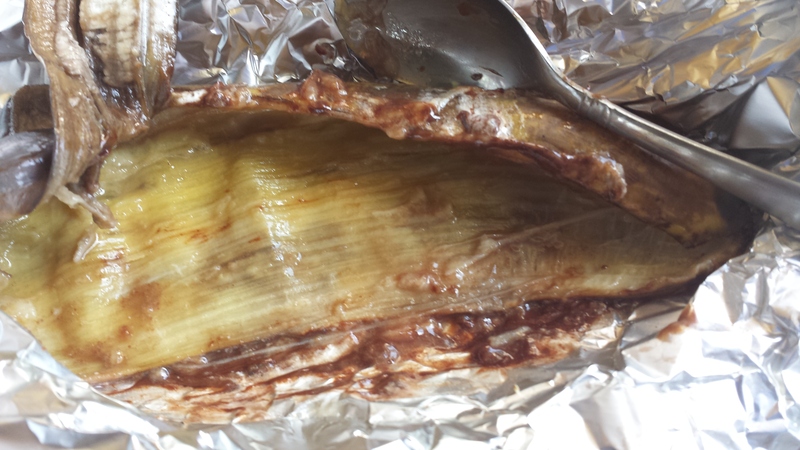 I wanted my banana to be well cooked so I decided to bake it at 375 degrees for 25 minutes. Time to open it up and see what happened! All gone until the next time! Thank you for accompanying me on my trip down memory lane, and for reading my 400th post! 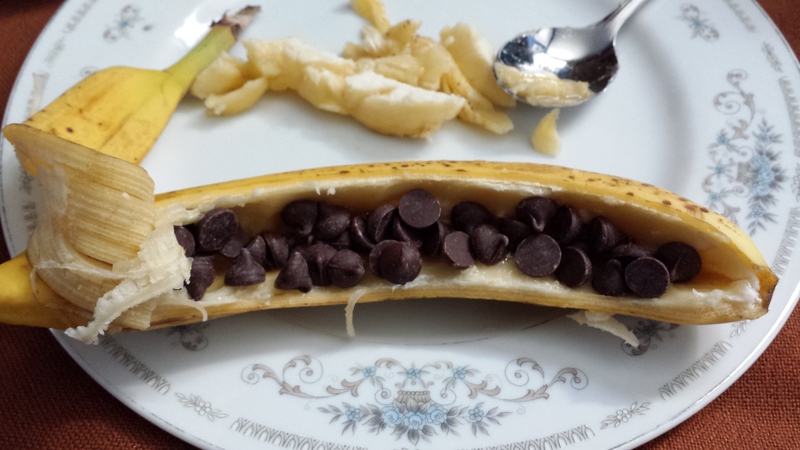 Let me know if you decide to make banana boats too! 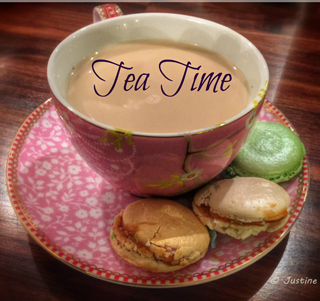 I have been wanting to go to one of Justine’s virtual tea parties for some time. I could make lots of excuses for my lack of attendance. The only one I will mention is that in February I ate an incredible S’more tart at the Columbia City Bakery in Seattle. I finally had found something I could bring to Tea Time! The problem was that I didn’t have the idea until I had left the bakery. There was no way for me to get a photograph of the tart that day. The next day, I called the bakery and asked when they would be serving it again. I was dismayed to be told that had been a Valentine’s Day special and would not be re-made, at least not until February 2016. 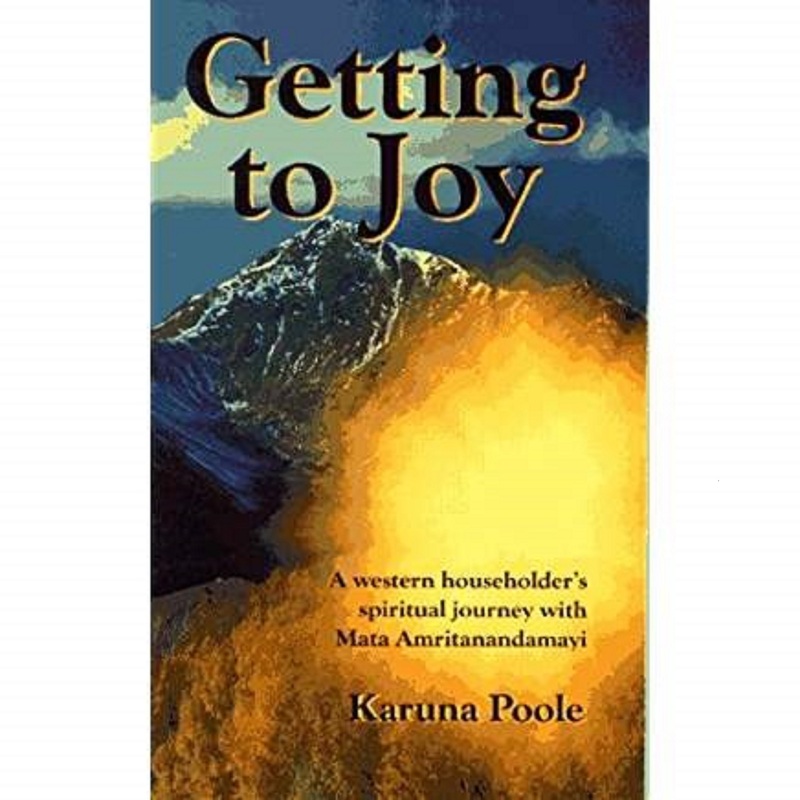 A few months ago I discovered a website that I have come to love. It is called Minimalist Baker. 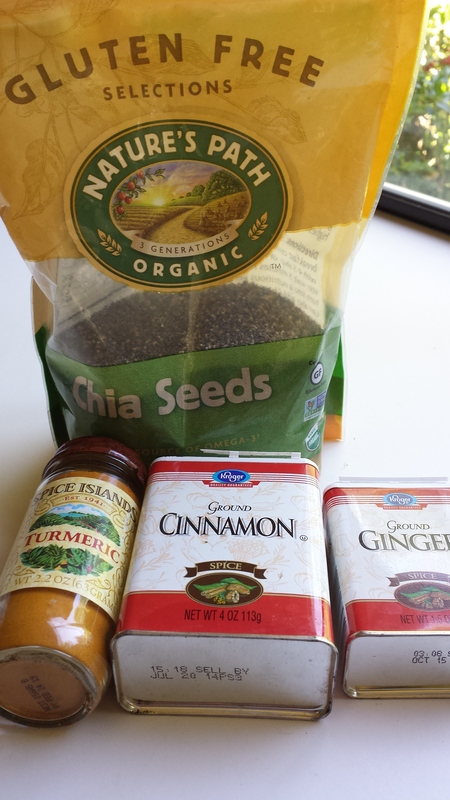 The recipes are healthy, generally 10 or less ingredients and are easy, and quick, to make. 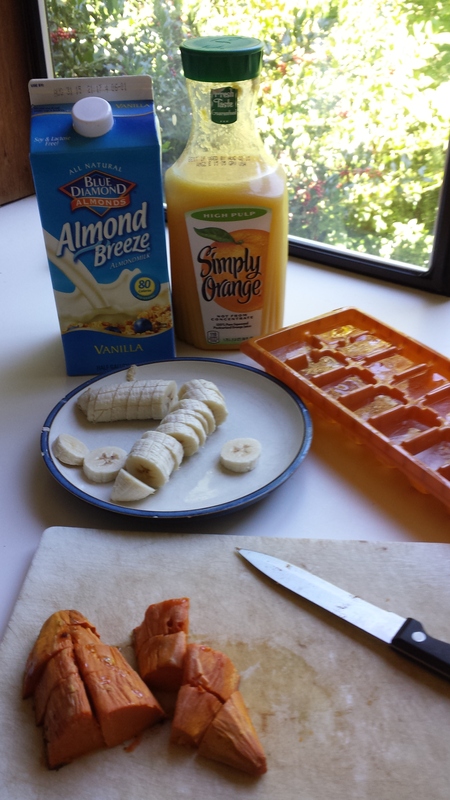 I decided I would bring their “Immune Booster Orange Smoothie” to the tea party. 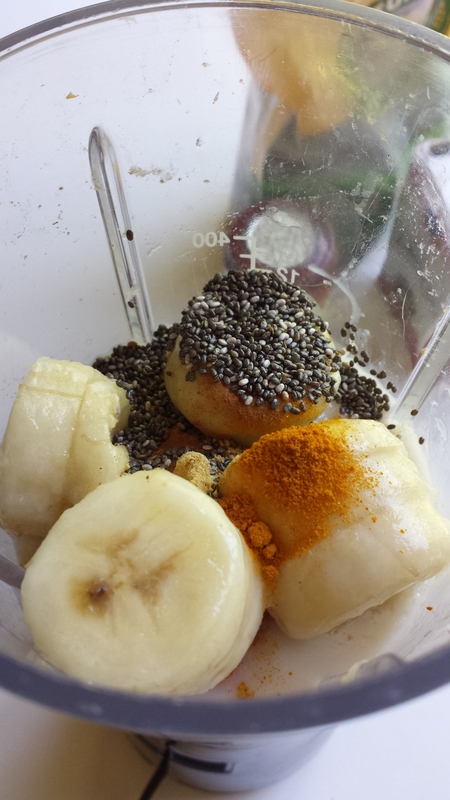 It is remarkable that I love this smoothie so much, because sweet potatoes are a major ingredient. 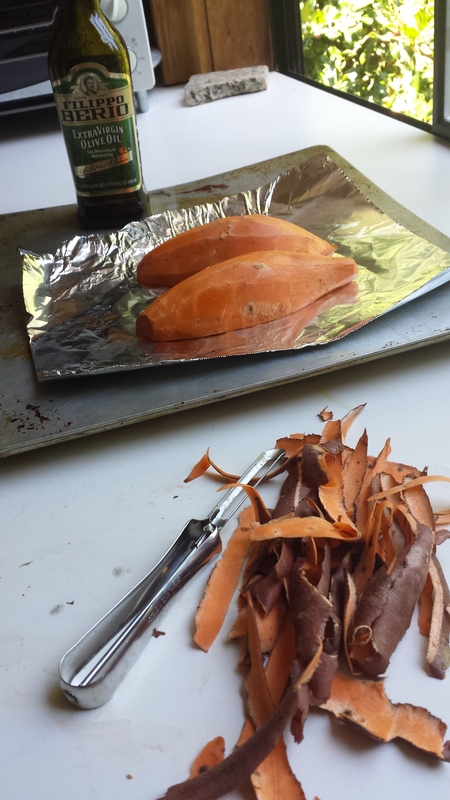 I have disliked sweet potatoes for as long as I can remember. 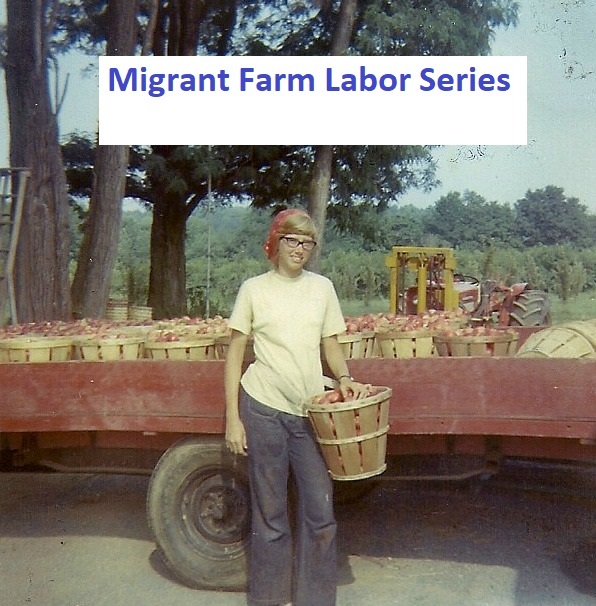 Almost all of the vegetables my mother served when I was a kid were canned. 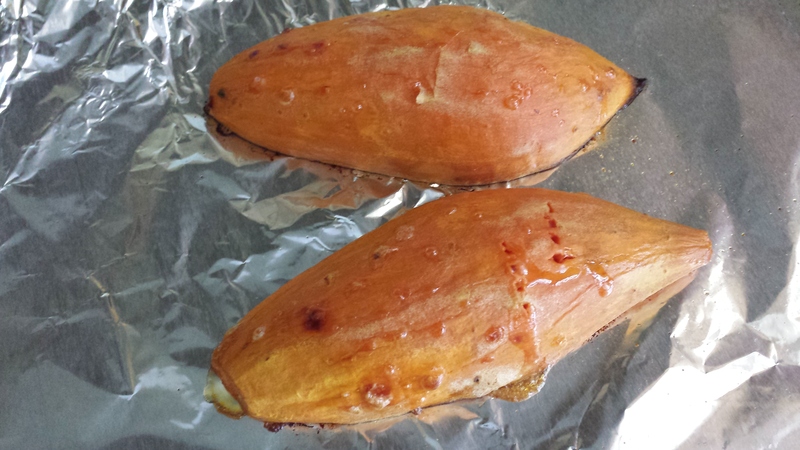 Canned sweet potatoes….. yuuuuuccccckkkkkkkk. No wonder I didn’t like them. 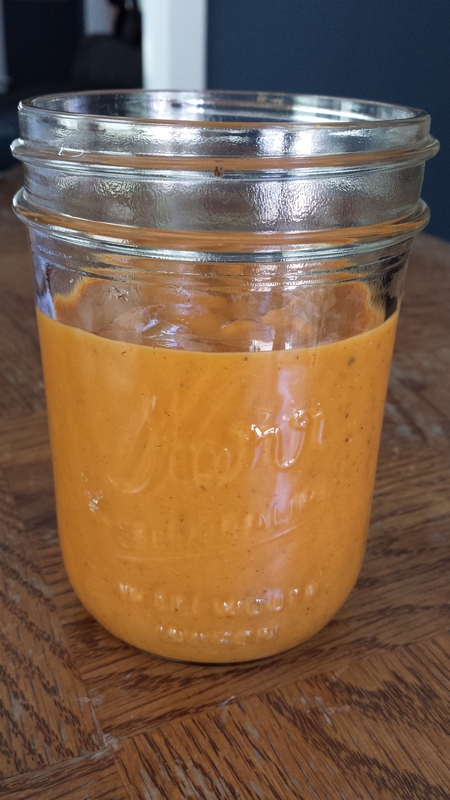 But this smoothie is delicious… and doesn’t taste at all like canned sweet potatoes! I will show some of the process of making it and then give you the link to the recipe. 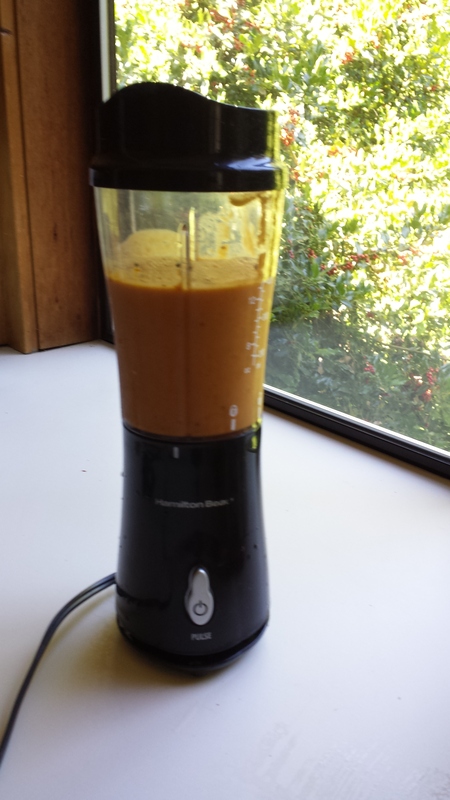 You can make the smoothie thick and creamy, like this one, or add more liquid to thin it out. Click here to see the detailed recipe. It’s time for me to leave for the tea party. I hope they enjoy the smoothie, and if you make it I hope you do too!